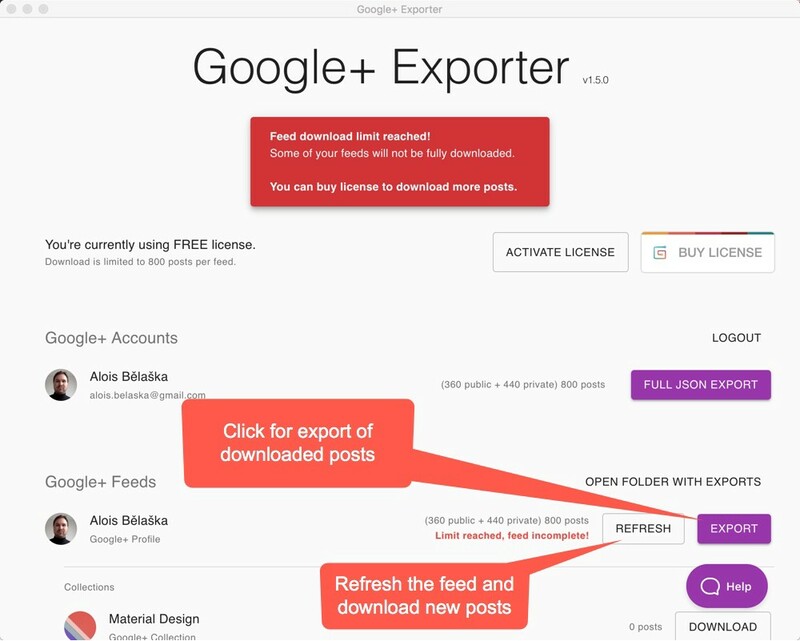 How to export my Google+ posts? 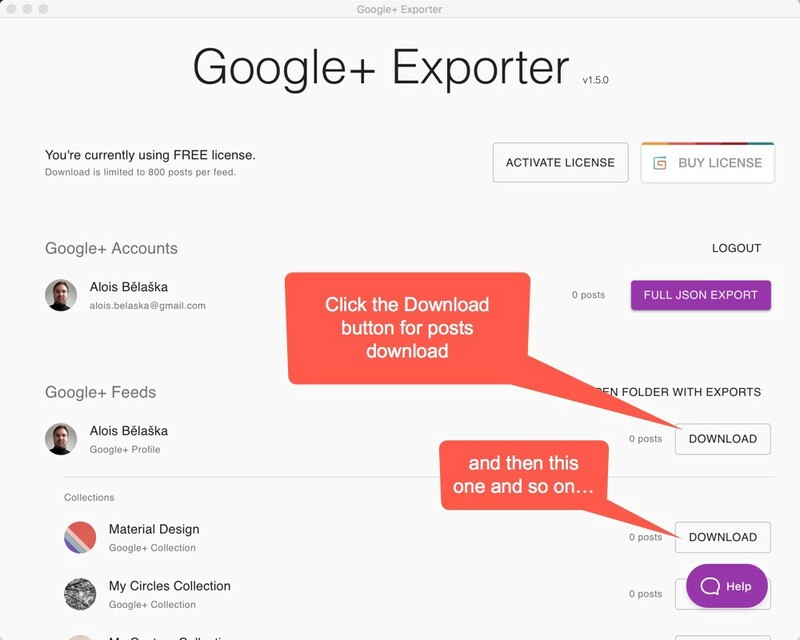 First, install and start the app and log in to Google account with access to Google+ feeds you’d like to export. 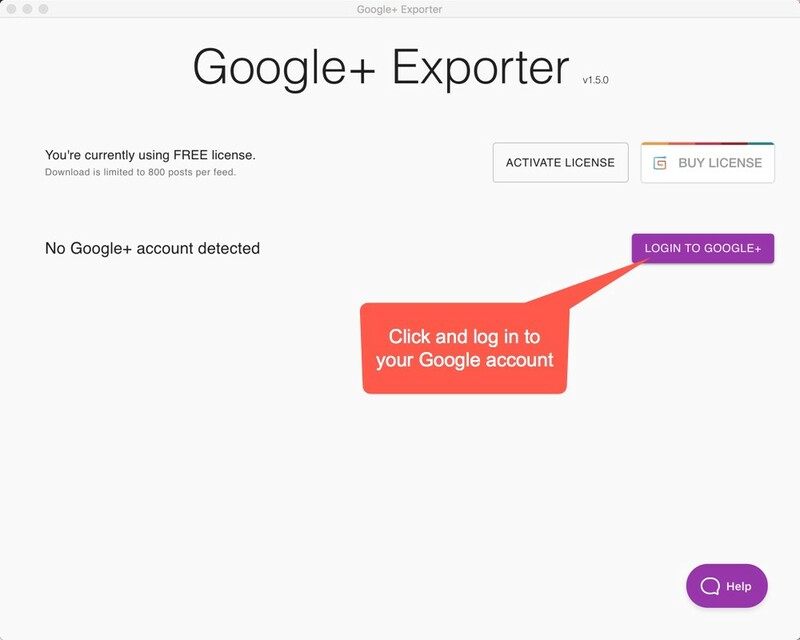 The application will scan Google account you’ve logged in for Google+ feeds and offer them for download. You can start the download process by clicking the DOWNLOAD button and download posts for every Google+ feed separately. Up to 800 posts per Google+ feed will be downloaded in the free version. You can buy a license https://gum.co/jEVTZ in case you’d like to download an unlimited number of posts. Google+ feed download is complete. You can now export downloaded posts by clicking the EXPORT button. You can refresh the feed anytime you want by clicking the REFRESH button. The free version will stop downloading new posts once the feed limit is reached (800 posts per feed).